After a slew of working weekends, being without a computer, and having a crazy birthday I am back on track reviewing Caldwell’s The T. Paired with a bottle of Prairie Artisan Ales’ Consider Yourself Hugged. 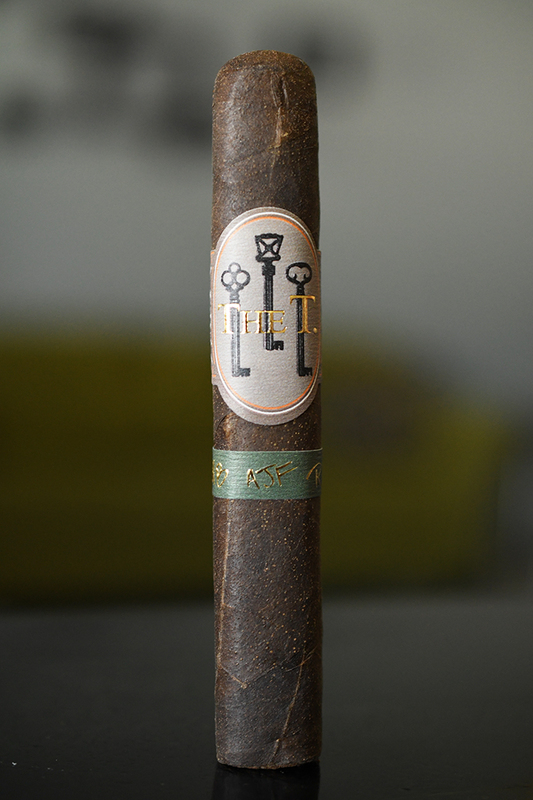 Caldwell’s The T stands for “The Truth” and is the result of an awesome collaboration of Matt Booth from Room 101, Robert Caldwell from Caldwell Cigar Co., and Abdel Fernandez from AJ Fernandez Cigar Company. 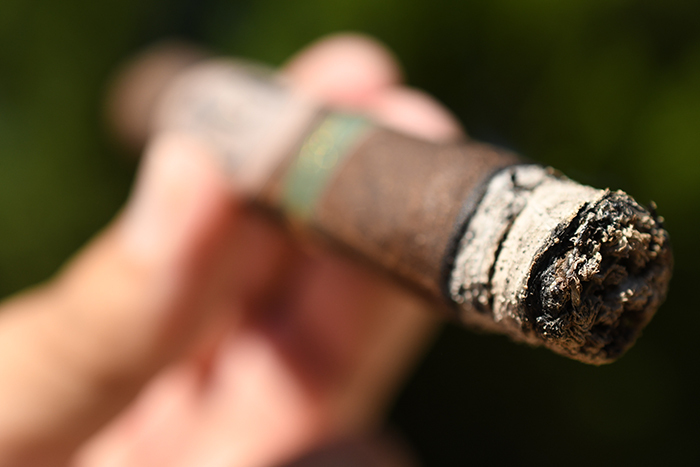 The cigar was introduced to the world at least year’s IPCPR show in Las Vegas, then released in small quantities before being more easily available this year. 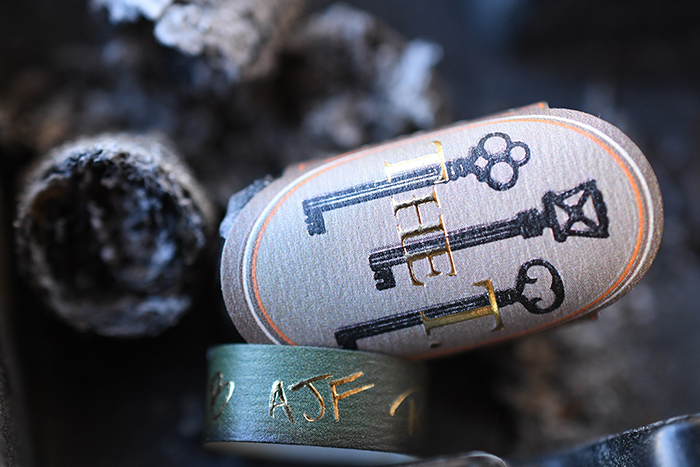 The limited production run of just 100,000 total cigars are manufactured at the Tabacalera AJ Fernandez Cigars de Nicaragua S.A. in Nicaragua. 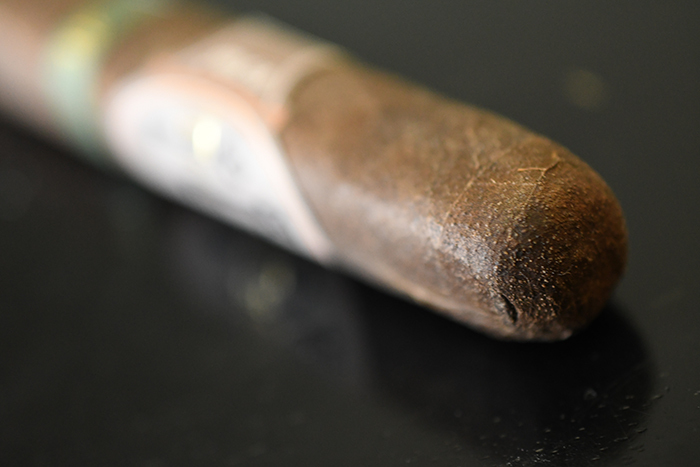 The blend features an all Nicaraguan make up from wrapper to filler and is produced in five sizes: Robusto (5 x 52), Short Churchill ( 5 1/2 x 48), Toro (6 x 52), Toro Grande ( 6 1/2 x 56), and the Lonsdale 6 1/2 x 44) all packaged in boxes of 20 running between $11 and $12 a stick. We purchased ours over from our friends at Fox Cigar Bar in Gilbert, Arizona. The T starts out with a gorgeous, super dark brown wrapper. The color is flawlessness consistent as the wrapper’s texture has some very large tooth while the gritty wrapper is laid seamlessly over itself. 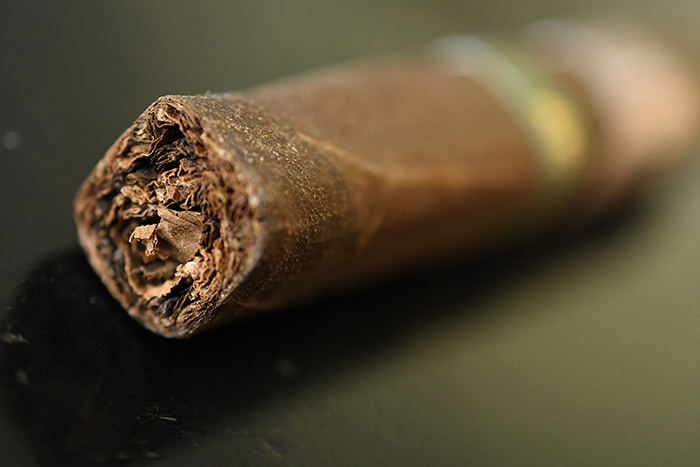 It very hard and very thick while the cigar itself is packed very tightly resulting in a cigar that feels as hard as a rock. 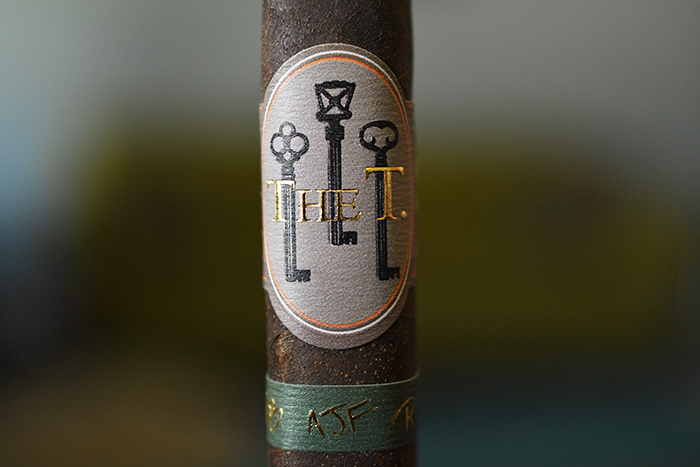 The short, box-pressed body leads up to a round, double-wrapped cap and a brown band with 3 keys (which one would assume represent each of the contributing members to the cigar’s existence), Gold embossed “The T.” crest, and a secondary band with the initials of each of the people involved with the collaboration embossed in gold across the front. 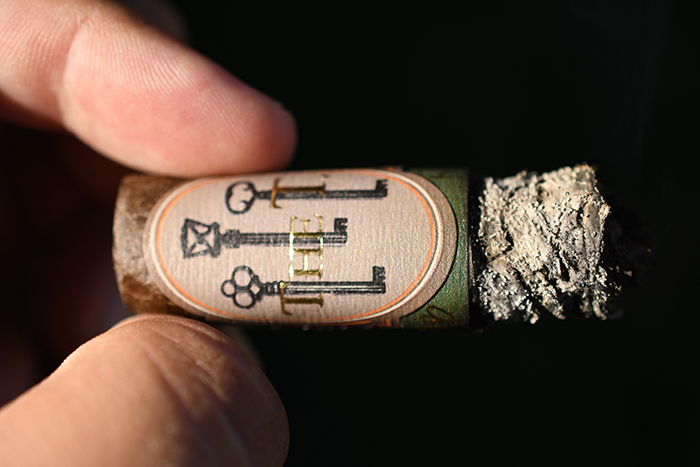 The cigars wrapper gives off a very musky, spicy and sweet tobacco aroma while the foot is more earthy, and dirty. The cap cut clean and easily using my Xikar XO double bladed cutter. The cold draw produces some great spice, pepper, raisin, and natural tobacco flavors. The T. starts out with a great black pepper zing that left my lips and tongue tingling for a bit before it faded away allowing the cigar to release a ton of cherry, raisin, musk, and cedar flavors with light spice, moss, chocolate, and coffee. The draw as flawless as each and every little puff kicks out a great amount of thick, white smoke while the cigar release only trace amounts of stationary smoke as it rests in my ashtray. I’d like to add that I love how comfortably the box-press fits in both my mouth and hand. The burn line is razor thin and dead even leaving behind a trail of tightly compacted dark gray ash which held on for about an inch before falling into my ashtray. Into the second third of The T. and the flavors have just been pouring in. 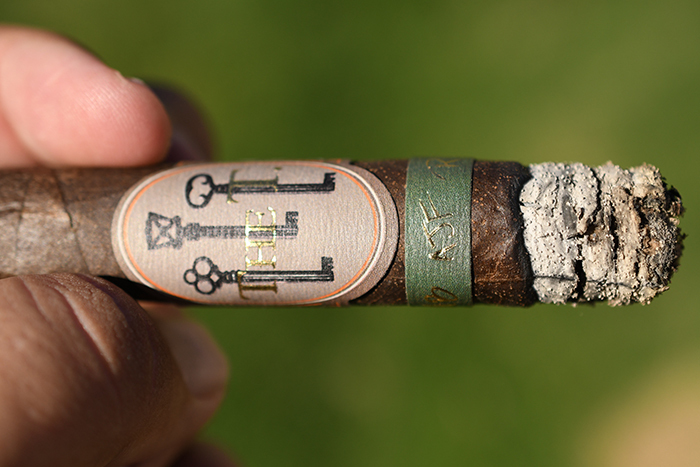 The cigar leads with musk, dark chocolate, raisin, coffee, and cedar with some soft cashew, cherry, spice, and oat. The retrohale brings out a lot of the spice and cedar. The cigar is burning like a dream and I am feeling nothing in terms of nicotine. I close out the second third in the medium/full body arena while the cigar sites a medium strength. Into the final third of The T. And the cigar has now entered both medium/full in both body and strength. The flavor have balanced out a bit as the cigar leads with some great chocolate, musk, cedar, and spice backed by coffee and raisin. It took me an hour and a half to take the cigar down to the nub and I loved every second of it. I experienced no harshness, no extended heat, and the cigar burned perfectly, I never once had to reach for my torch to re-light or touch it up. Pairie Artisan Ales Consider Yourself Hugged is an Imperial Stout brewed with Peanut Butter and Coffee coming in at 11.9% ABV. The beer starts out with a ton of roasted malt, oat, chocolate, sweet peanut butter and brown sugar with a heavy mouthfeel before finishing even sweeter with more peanut butter, chocolate, coffee, and malt. The booze is dangerously well hidden. 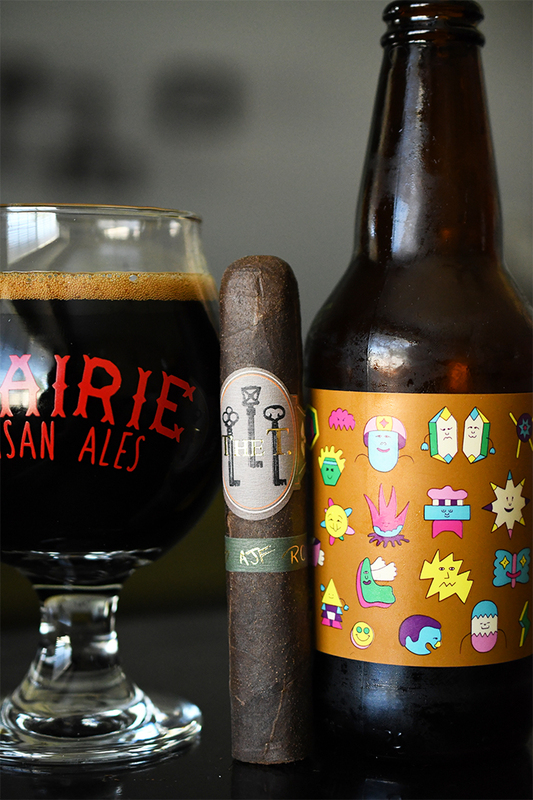 This beer paired perfectly with The T. Not because of similar flavors, but both the cigar and beer filled gaps in between their flavor profiles resulting in both of the elements raising the other.